Long live Montauk. Transformed over the last several years by a young and wealthy crowd, the Montauk renaissance is well under way. With the best surfing beaches on the East End and an enduring fleet of picturesque fishing boats, Montauk’s draw has never been stronger. The young and smart set has brought an influx of cash that is giving a much needed facelift to the aging seaside motels and restaurants. Saavy investors of all ages are buying the older, tired summer homes of the last century, knowing that there is an ever stronger market for chic turnkey homes for both rent and sale. The new crowd is sort of hipster, but with money and fancy European cars, into fitness, surfing, recycling and socially conscious consumption. Half of the crowd, probably the more fun half is single, sort of an international set, looking to party in the newly discovered Montauk. These people are driving the long time Montaukers and the locals nuts at places like the infamous Surf Lodge, but hey, it’s for two months, let the kids have their fun! From a local’s perspective, it’s gotten way too crowded out in the lineup at Ditch and at the bar at the Shagwong. Did someone say it was for sale? Yes, there are locals in Montauk. They used to fish. Not so much anymore. Most commute to East Hampton for work. The young guys probably work in the trades and get out surfing as soon as there’s a good break or a northwest wind. Some just drink all winter. From December to April it’s cold and dark in Montauk! If you visit don’t miss Gosman’s Dock, Duryea’s, Joanie’s for breakfast, Montauk Downs golf and “The End,” the majestic lighthouse that is surrounded by substantial walking trails that converge on the point. Cyril’s and Clam Bar on the Napeague Stretch are also lots of fun if you like reggae music, rum drinks and clams on the halfshell. Ah East Hampton. Home to movie stars, writers, artists and athletes the Wall Street and corporate America crowd, East Hampton feels like a moveable feast of power, creativity and influence. That is, if you’re getting invited to the right parties! Main Street is home to many fine boutiques, several very respectable restaurants are convenient, and of course, there is the Village’s renowned charm and beauty. Don’t forget the real reason you come to East Hampton! The white sand beaches, the star-gazing and yes, the absolutely fabulous real estate. Once upon a time the town was called Maidstone, descending from Maidstone, Kent, England where the first settlers tended to hail from. Today’s East Hampton is really a destination with something for everyone. Whether you fancy the Springs arty crowd, the bays of the Northwest or exclusively “South of the Highway” any of these locales offer their unique charms. A couple of quick FYIs: Don’t even try to park in the Village on an overcast or rainy summer afternoon unless you enjoy driving around in circles and exchanging profanities with other frustrated visitors. Seriously, parking is a nightmare in July and August. If you want to park at the beach you’ll probably want to buy a town pass. Village passes tend to sell out by March. Town passes are always available so you can park at beaches like Indian Wells and Atlantic in Amagansett or to the west in Wainscott. Otherwise just overpay for a day pass at Main Beach or Indian Wells in Amagansett. 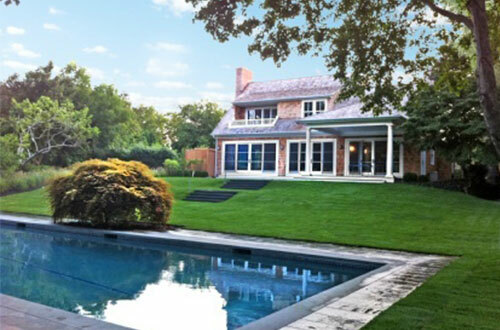 At the westernmost edge of East Hampton town, lies the impossibly charming Wainscott. Between its antique Main Street, more open farm fields and their attendant farmstands Wainscott is beyond picturesque. Picture Norman Rockwell at the height of his powers. 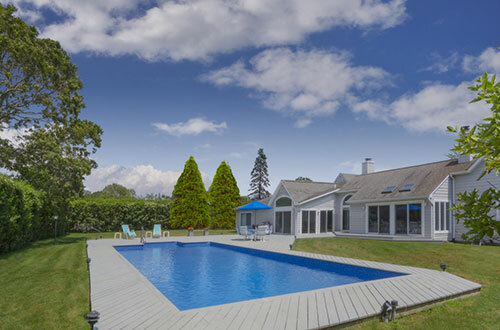 The hamlet is framed by Georgica Pond to the east, where some of the most expensive homes in all of the the Hamptons lie tucked against the pond and the incorporated village of Sagaponack to the west. The recently incorporated Sagaponack Village is comprised of some of the most valuable real estate imaginable. Open farm fields, incredible homes, open ocean vistas; Sagaponack is a veritable paradise for rich people. Where once potatoes were cultivated today it is multimillion dollar estates that sprout in Sagaponack. When visiting don’t miss the insane homes, Poxobogue golf course and cafe, the General Store and of course the white sand and largely secret beaches. Bridgehampton was so named because it was thought of as the bridge between South and East Hampton. Actually the eastern side of Southampton town, Bridgehampton was almost entirely potato farming as recently as the early 70’s. The once signature open fields have slowly, inexorably been turned into subdivisions onto which fantastic second homes have been built. 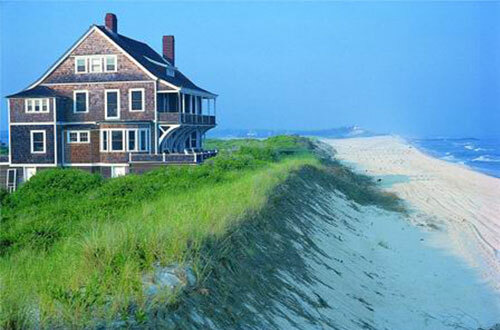 Some of the most outrageous homes imaginable have been built in Bridgehampton, around Mecox Bay. That said, the place is still stunningly beautiful and full of open space, and that is why its real estate value has continued to soar. With the shimmering waters of Mecox Bay to the southwest and the polo fields to the North and fantastic Sagaponack to the east, Bridgehampton leads a pretty charmed existence. Shopping is great at “The Commons,” both East and South Hampton are convenient as well as Sag Harbor. For dining, Pierre’s bistro is a perennial favorite and Bobby Vans to the south side for the best steaks and seafood and a hardy bar scene. For artisanal Pizza and a beer, stop in at World Pie. And finally, don’t forget the Candy Kitchen, a blast from Bridgehampton’s past. To the east is Poxabogue cafe and driving range in Sagaponack, a very happy place to stop in for a quick bite. Westhampton is a wonderful resort destination with a bustling Main Street featuring great shopping, cafes, bistros, restaurants and a fantastic performing arts facility that brings famous entertainers from around the world into the Hamptons. The village is a holiday mecca and very water centric with its yacht basin and marina, Moniebogue Canal weaving up to the back parking lot of Main Street. Dual drawbridges at Beach Lane and Jessup Lane provide access to the superb ocean beaches. Across the drawbridges of Beach Lane and Jessup Lane you enter Dune Road, which is a barrier beach. Turn east and you’re soon in the Hamlet of east Quogue. Keep driving west and you’ll find the newest incorporated village of Westhampton Dunes. Visitors wanting beach access usually head to Cupsogue County Park for their day in the sun just beyond this community to the west. Founded in 1640, Southampton vies with Southold Town on the North Fork for bragging rights as the first English settlement in New York. Suffice to say there is a lot of history there. Today’s Southampton retains much of its charm and is eternally attractive to Wall Street’s big players or those who have created the companies they took public. There are lots of diverse areas beyond the village and estate section. How about rural North Sea, or Noyac in the woods. For extra commuting convenience to NYC there’s Shinnecock to consider as well. The eastern side of town, including Watermill, Bridgehampton and Sagaponack, has retained much of its rural charm with big open fields and lots of farm stands with amazing produce for the five in season months of the year. The old Southampton set hangs around at the Meadow Club for a spot of lawn tennis, and down to the bathing corporation for lunch afterwards. In the afternoon it’s off to Shinnecock or National for a round of golf. 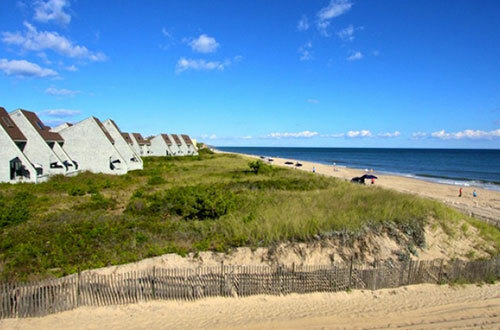 The estates on Gin Lane and down Dune Road and its environs are incredible to behold and are owned by the wealthiest and most influential families in America. If you’re out in Southampton don’t miss Duck Walk Vineyards for a tasting. Pick up your pies at the Blue Duck bakery, stop by the Drivers Seat or Barristers for a quick sandwich. Evening time try the Red Bar or Public House where you can slake most any thirst. The new Parrish Art Museum scheduled is not to be missed. Sag Harbor is the Hampton’s most active town in terms of everyday living. Main Street is vibrant and active year round with a wide array of restaurants and bars, curio shops and variety stores, all set in a late 18th century townscape. We all know Sag Harbor as having been a major whaling center, and it is said that at one point in the late 1700’s Sag Harbor enjoyed more in the way of international commerce than even New York City at the time. As such it enjoyed prosperity, but only for so long as the world needed whale oil. By the later 1800’s, with its glory days behind it Sag Harbor just drifted along, settling into its role of “former center of international commerce” in the Hamptons, antiquated but dignified, confident in its bloodlines, which in this case include equal amounts of grog and a maritime heritage. Today Sag Harbor is hopping. While summer brings visitors enjoying the many fine restaurants and the many watering holes that characterize the village, the sidewalks are alive year round with locals going about their lives. Points of interest include the Sag Harbor library, the Old Whaler’s Church and Museum, and the timeless American Hotel. Careful to enjoy the watering holes responsibly as the SH Police are notoriously tough about controlling drinking and driving. Real estate wise, the Victorian town houses of Sag Harbor have taken on a new luster, some fetching prices in the millions! The main story of late has been the redevelopment of the Bulova watch factory. Yes, this drama continues, going on close to thirty years now, since the first possible developers crashed and burned but the redevelopment is largely complete and the luxury condo units are selling for record prices. 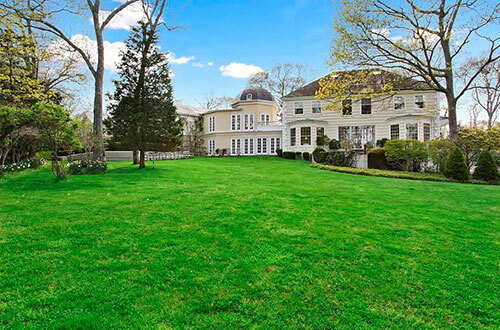 While Sag Harbor retains much of the old Hamptons feel, come quickly as change is underway. Cross the Ponquogue bridge from Hampton Bays and driving west on Dune Road takes you into East Quogue and then Quogue Village, a genteel enclave of impressive summer estates most of which have been owned by the same families for generations, many of them members of the Quogue field club. Water vistas across Shinnecock Bay are draw dropping. Quiogue is a little bedroom hamlet along the Montauk Highway with a few little shops and modest but charming homes. To the north are the farms of Manorville and the Riverhead road. To the west is Westhampton and Remsenburg. Shelter Island is of course a world unto itself. If you prefer a lower key scene, like boats, sunsets and water everywhere this may be your spot. 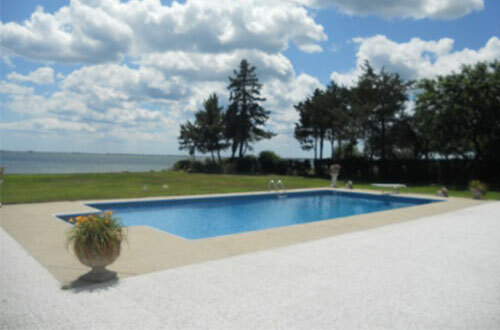 Offering many beautiful homes it is known affectionately as “The Rock.” Ferries to the North Fork and Hamptons assure you won’t be stranded for too long. The good news is that tardy ferries make a great excuse to your friends if you get off to a late start. When visiting don’t miss “The Heights” an area of the Island that is high on a bluff with many charming Victorian cottages built into the hills. Sunset Beach is always a great spot to grab a meal or a drink. You may not want to leave the peace and serenity for a few days though, and fortunately there are several charming inns like the Chequit and Sunset Beach itself in case you want to stay over. North Haven is Sag Harbor’s suburb. Largely a bedroom community, North Haven property values have skyrocketed over the last 10 years. 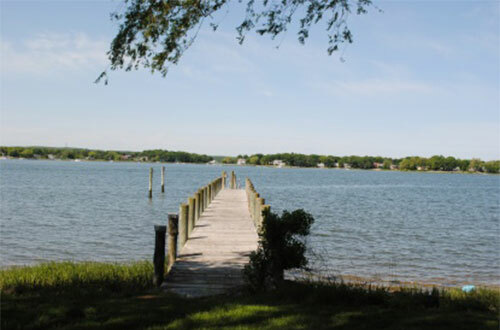 Some fantastic waterfront estates have fetched record sales prices, Shelter Island is convenient and there may well be more deer than people. 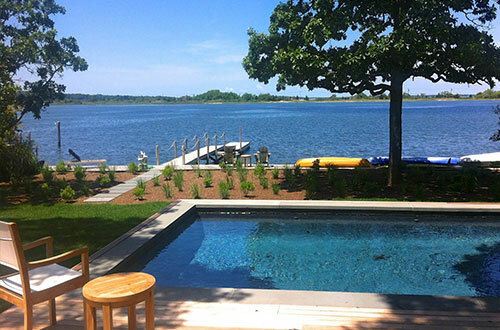 Equidistant to East and Southampton as well, North Haven is conveniently located for the inter-Hamptons visitors. There is no debating that the feeling and vibe is very different on the western side of the Shinnecock canal. Less formal perhaps, not as snooty as their easterly neighbors, the westerly hamlets of Southampton Town are blessed with tons of natural beauty and plenty of great activities for the family or the single visitor. Originally known as “Good Ground,” Hampton Bays took its current name in the 1920s mostly to take advantage of the growing trade in the “Hamptons” brand. Commercial fishing remains a vital part of the Hampton Bays economy, centered around the fishing station at Shinnecock Inlet. After Montauk, Hampton Bays is the second-busiest commercial fishing port in the state of New York. Sailing, windsurfing, jetskis and all sorts of watersports are readily accessible. Great seafood is to be had in Hampton Bays, and prepared Italian foods at Scottos pork store on Main Street. Across the Ponquogue Bridge is Shinnecock inlet. The western hamlets offer the same white sand beaches and many restaurants, nightclubs and resorts perfect for summer fun and if convenience is your thing you’ll cut your commuting time in half by choosing Hamptons Bays or Westhampton.